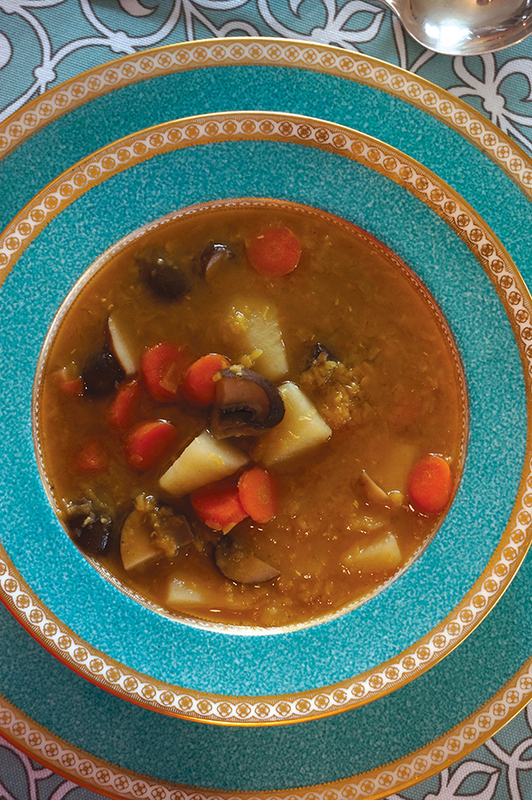 Needing only fifteen minutes to prep, with only seven ingredients to assemble, this Quick Red Lentil Curry Soup is an excellent candidate for a nutritious lunch or informal supper. As the red lentils cook, they break down to magically thicken the broth. 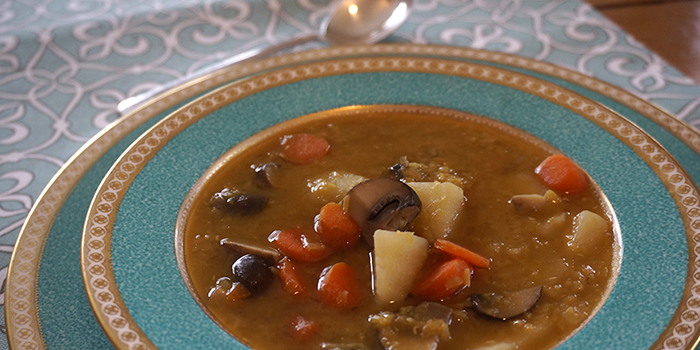 Before you know it, you have a hearty delicious soup, ready to serve. To sort the lentils, spread them out in a single layer on a large baking sheet. Remove any stones, dirt, broken lentils, or other debris. The lentils are now ready to be rinsed and used in your recipe. You may also sort split peas or dried beans in this manner. Recipe from Laura Theodore's Vegan-Ease: An Easy Guide to Enjoying a Plant-Based Diet© Laura Theodore (Jazzy Vegetarian, LLC 2015), reprinted by permission.